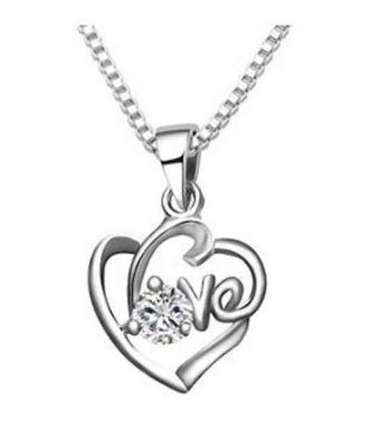 Silver Heart Zircon Pendant Love Necklace $2.84 Shipped! You are here: Home / Great Deals / Amazon Deals / Silver Heart Zircon Pendant Love Necklace $2.84 Shipped! How gorgeous is this necklace!? Hurry and grab this Silver Heart Zircon Pendant Love Necklace for only $2.84 Shipped!